Figured out both questions. Reinstalled ECU flash /Tephra and can see tables fine now. And when you edit Decel Fuel Cut Delay tables the ISCV Demand TPS Adder tables change automatically. Now to go try this. Thanks! My rev hang is 100% gone. Can't believe it. Just this morning I was thinking if I can't make it go away I'll sell the car and get a GT-R or something someday. Was totally sucking the fun out of driving a manual. Jay I sent $10 your way on PayPal. Get yourself a six pack on me. ^ Thanks. Glad it helped you out. I'm having this same problem but my car is stock with stock tune. Any ideas? If you are looking for a cause of the type of behavior described, the engine accelerating off throttle, consider what might be happening to make it accelerate. One factor is that it's behaving as though you have your foot on the gas still, correct? This is essentially air is getting through the intake as if the throttle plate is still open. This path of thinking is what the code fixes address, but it could also be air getting in after the throttle plate. Any super en leaning condition will make the motor accel with the clutch depressed (no resistance on the motor). Check for boost leaks after the TB. 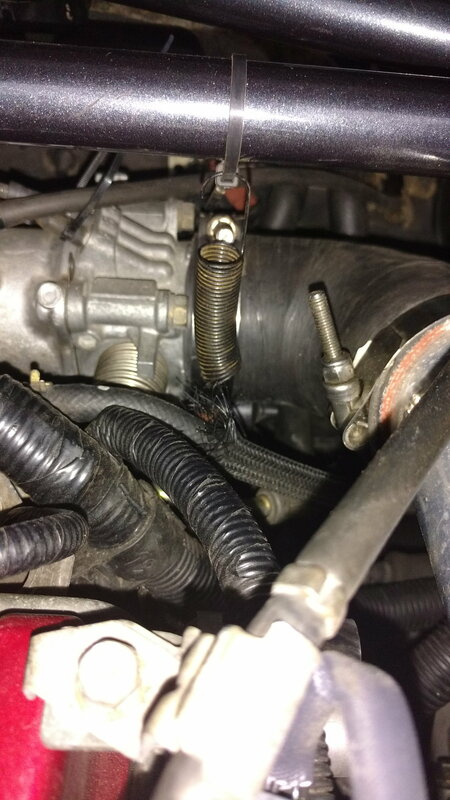 All those tiny ERG hoses and fittings, can leak a little bit and you will still drive relatively fine with boost pressure but they will leak in vacuum as well. Off throttle after a big pull creates a lot of sudden vacuum which will pull in air for a few seconds enough to rev up an engine that is not connected to the driveline. Oh my gawd thank you!!!! 9417 doesnt have the rev hang, so this isnt needed. How i can correctly resolve problem (rev hang) on my 88580714 rom? if EDM roms don't have solution, can i use USDM rom on my car? Last edited by Pyatka-ubiyca; May 26, 2015 at 05:13 AM. You would have to find those tables for that ROM. If you search around, you can probably find them. What tables would I adjust to fix this for an Evo X?